It isn’t easy to describe the sort of music that Cher Von makes. It was recorded without previous concepts, but it doesn’t sound that way – in fact the music here might even seem more thoughtful and aware of itself because of this sort of ‘realizing-the-music-as-it-comes’ approach to things. It’s the sort of approach that makes many musicians nervous to even think about, and the fact that it is done here in such a pleasant way seems like a testament to Cher Von’s musicianship and inventiveness. 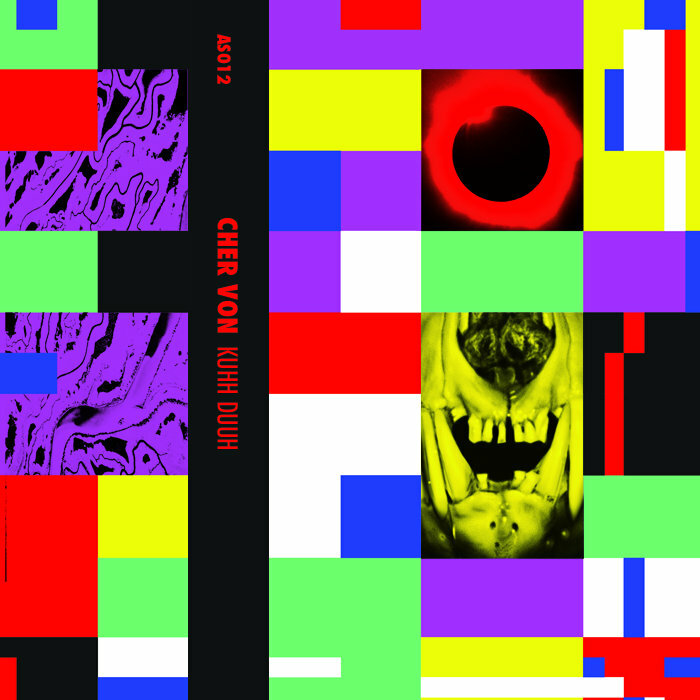 Kuhh Duuh is a rich collection of six semi-improvised songs – each making extensive use of the voice, loop and effect pedals, and found percussion. The tracks here are very atmospheric, feeling thick and hazy while maintaining a distinctly directed groove. It’s not a kind of heavy, driving, four-on-the-floor kind of groove, though – it’s more like that built in background groove that you feel when you’re driving by streetlights at a steady speed on a quiet night. The music refrains from being domineering, but rather allowed me to walk to class on this wet Autumn morning without excess thought as I let it go by. It was almost meditative. Tracks like “Anywhere (Kilik 2)” and “Nimm-Mumm (Wood. Chant)” pull in some extra instrumentation – guitar and bass – and have more melancholic, even distressed feels to them. The fifth track, “Loop: Goh-Kuhht,” is an incredible amount of fun, and one that most anyone should enjoy – as the name implies, it builds layers and layers of loops (mostly voice, with some effects) and can easily put the listener in a trance. Another great release from auralgami SOUNDS this year, Kuhh Duuh is a thoroughly enjoyable listen – it stays fresh across several listens, as you find more and more surprises buried in its textures. The music is able to be simultaneously calming, entrancing, exciting, and playful – it’s something I would most certainly recommend. Tracks I Liked (though I would more recommend listening to this all as an album): Anywhere (Kilik 2)! !, Nimm-Mumm (Wood. Chant)!, Loop: Goh-Kuhht!! !